From the left, Chuck Gilbert, Deckle McLean, Nick Pano, Jackie Thompson, Rep. Hammond, and Patti Jones. 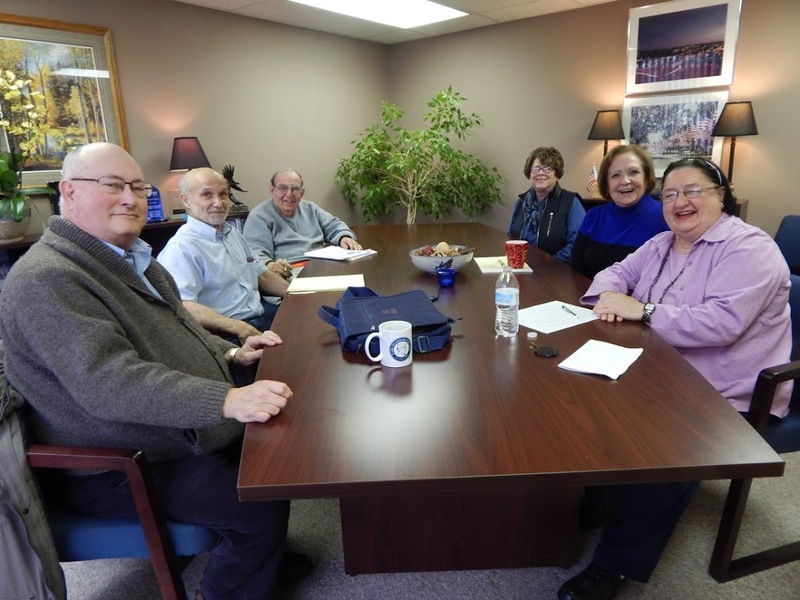 Macomb…On Thursday of this week, State Representative Norine Hammond (R-Macomb) met with the Executive Board of the WIU Chapter of the State University Annuitants Association, a statewide organization that represents current and former employees of Illinois colleges and universities. Patti Jones, president of WIU/SUAA, wanted to discuss with Rep. Hammond topics of concern for retirees, like the Illinois budget impasse, funding of MAP grants and pensions, as well as legislative priorities of the Legislature and how these will impact our district. Both Hammond and the board members felt that the meeting was productive.